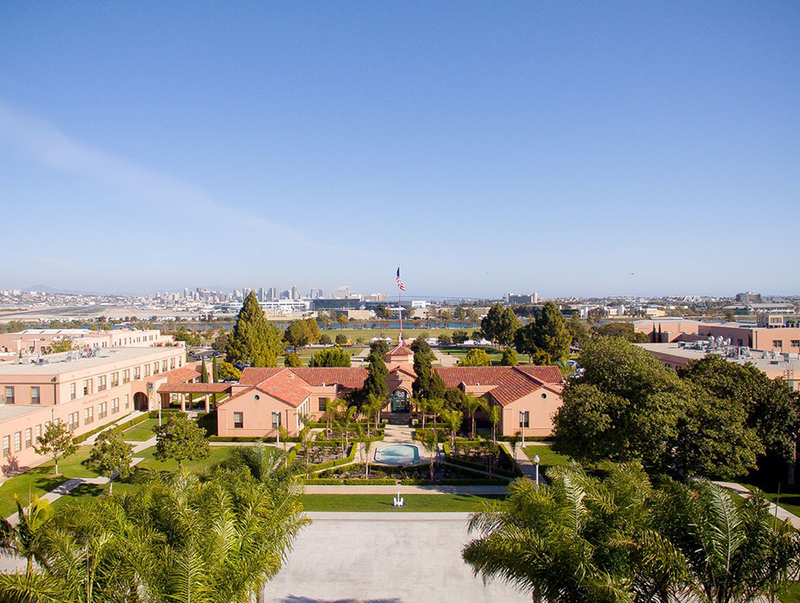 Liberty Station is a 361-acre project that involves the conversion of San Diego, California’s former Naval Training Center into a mixed-use community that includes several distinct districts. The development is located in the Point Loma community of San Diego. It has a waterfront location, on a boat channel off of San Diego Bay, just west of the San Diego Airport and a few miles north of Downtown San Diego. Dozens of the historical buildings are being adapted for stores, offices, schools, and other purposes. Liberty Station consists of a retail and commercial district, a promenade, an educational district, a residential district, a hotel district, an office district, and a park/open space area along the boat channel. The residential district of Liberty Station has two main sections, one section for military housing and the other a residential community developed by the McMillin Corporation. The military housing ncludes 500 units, mostly townhomes, and also features children’s playgrounds and sports facilities. The exterior of the housing is in a Spanish architectural style in keeping with traditional San Diego. The civilian residential community includes townhomes, row homes, and single family homes. In 2007 it was named by Money magazine as one of the best places to retire in San Diego. The park and open space area includes the golf course as well as a 46-acre waterfront park with playground areas, a walking/jogging trail along the boat channel, and an athletic club. Seasonal kayak and paddle board rentals are offered as well. The educational district of Liberty Station consists of High Tech Village, a group of public charter schools collectively known as High Tech High. The campus includes five high schools, two middle schools, and one elementary school. The schools are part of the San Diego City Schools.